Laura manages the daily operations of all office-related matters. She is a member of the ERC Administrative and Operations team and supports the entire ERC staff through maintaining office efficiency by planning and implementing office systems, layouts, and equipment procurement. She assists ERC’s staff with operational requirements by partnering with business practice leaders and following up on work results. Laura’s professional experience includes her former role as Center Director for KinderCare Learning Centers for 16 years prior to joining ERC. 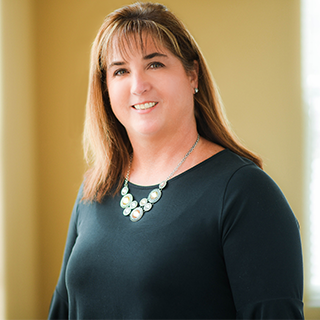 During her tenure at KinderCare, Laura assumed progressively more responsibility, culminating with her appointment to lead the opening of three new childcare centers in the greater Cleveland area. She was responsible for all aspects of the start-ups including hiring staff, procurement of facilities, fixtures, and equipment, and was ultimately responsible for new family enrollments and operational startup. Laura received a Bachelor of Science in Human Ecology from The Ohio State University. She is a licensed social worker in the State of Ohio. She serves her community through many philanthropic organizations and participation in municipal committees.